And so I'm back after almost a 2-week hiatus. I've still been active on Instagram though, posting bits of what I was up to for the past two weeks. So yes, I wasn't totally absent. 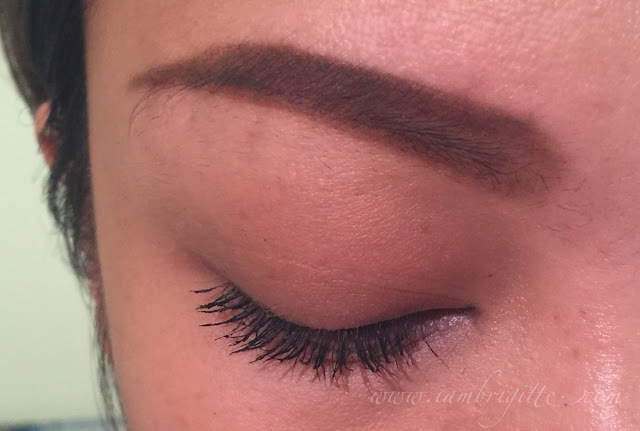 It promises thicker and longer lashes with a curl that will never droop. 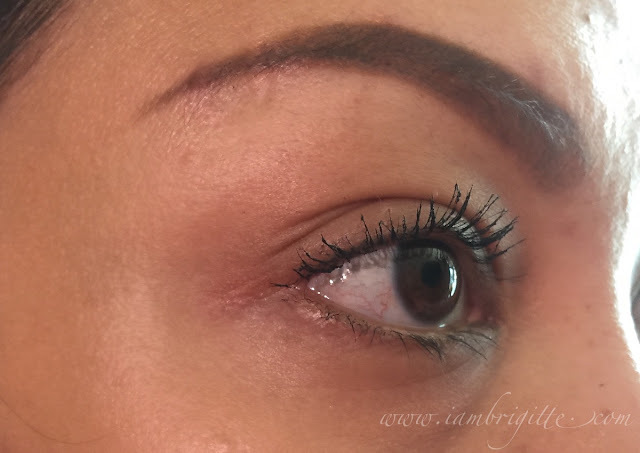 It has a MAXIMEYES fibre brush that maximises the product load and at the same time lifts and separates the lashes. It is smudge-proof, sweat-proof, sebum-proof, tear-proof and is also water-resistant. The packaging is quite simple and lightweight. 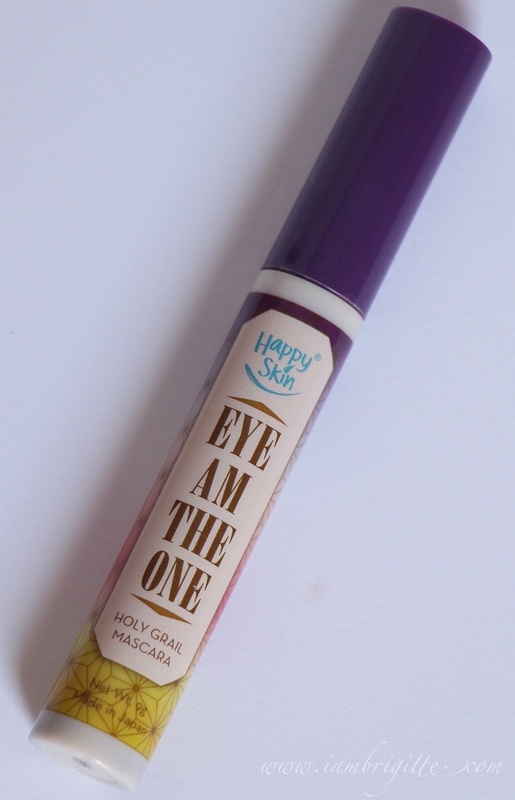 I love how they made the text "Eye Am The One" on the tube bigger than the rest, as it sort of gives you that commanding tone to pick it up among your other mascaras in your makeup kit. And just like any other Happy Skin products, it has some special ingredients added to protect your lashes from being damaged and to stimulate hair growth. I should really try going out like this some time. 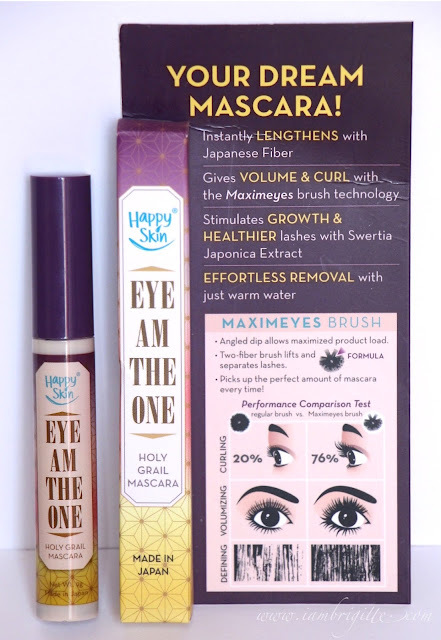 As you can see in the photos, it does deliver in the Volumizing and Lengthening departments but not so much when it comes to its promise of keeping the lashes curled. It did weigh down my curl for a bit, but looking at the photo, it actually made the curl look more natural than when I just finished curling it. So I can say, it's still good. 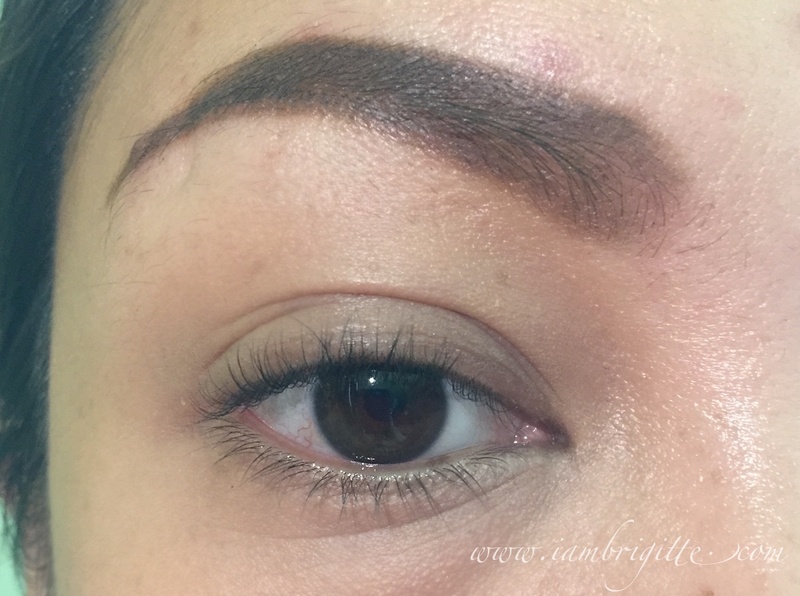 Remember that I do have straight and thin lashes to begin with, so it's really a surprise that a mascara with a wet formulation can still keep a bit of that curl. This mascara didn't work for me at all the first time I used it. It made the curl droop the moment I apply the mascara on. 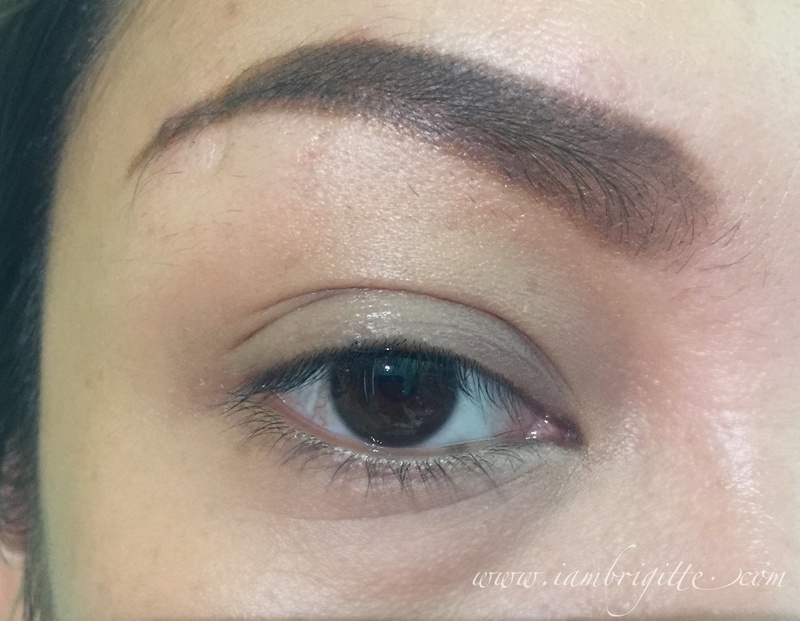 But since I love how it can instantly give me that long, luscious lashes I've been dreaming of, I knew I had to find a way to make it work: I tried swiping some of the product off the brush then dab the brush on the roots of my lashes first. Dab, not swipe or wiggle. Then dab the brush onto the rest of my lashes starting from the roots going to the tip. I then wait for a bit before I apply the second coat. This time, I no longer wipe some product off. I just apply it starting from the roots, in a wiggling motion, up to the tips. And yes, it did work! So if you find this baby not working for you, try my technique and let me know how it goes. Also, this mascara is indeed smudge-proof. I wore it for 24 hours one time and I didn't wake up with panda eyes. Yes, I did say 24 hours! I applied my makeup around 6 in the morning, went through my day and was too tired to even take my makeup off in the evening. My bad, my bad! But don't worry. 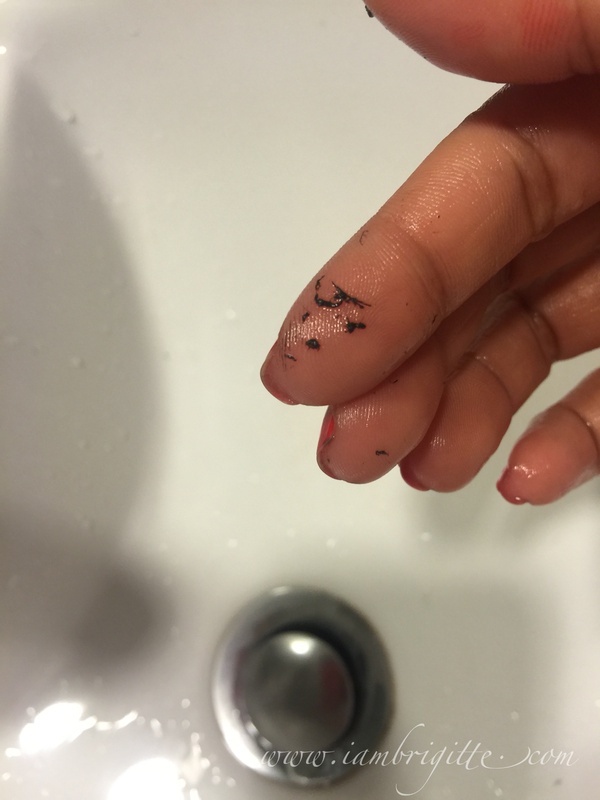 I know that waterproof mascaras can be such a pain to remove. Good thing Happy Skin made this mascara to be just water-resistant. It goes off with just warm water and some GENTLE pulling of your lashes. I haven't tried wearing this mascara and go for a swim so I'm not sure if this is something you can wear when you have plans of going swimming. 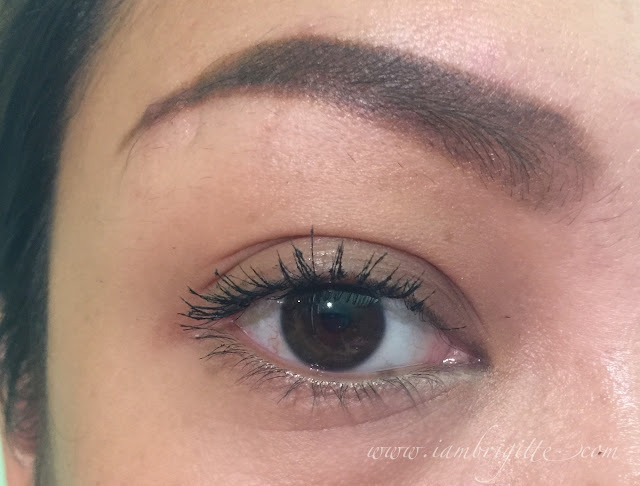 I guess it's okay, as long as you won't pull it off intentionally from your lashes. So is this really a Holy Grail mascara? On a scale of 1-10, I'll give it an 9 just because I still needed to do some ninja moves to really make it work on my stubborn, stick-straight lashes. 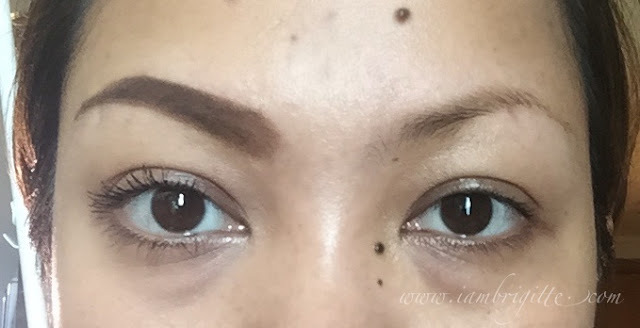 This reminds me of the Lash King mascara from Majolica Majorca only that this gives more length and it does relieve me from the pain of taking it off. If you've tried Lash King, you'd know what I mean. 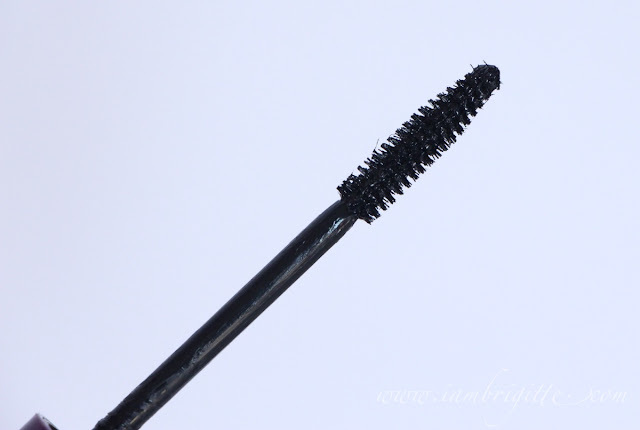 Those with naturally curled lashes will find this baby an absolute HG. If you're missing out on some volume and lots of length, check this out. By the way, I also find that it starts to get clumpy on the third coat. But maybe, it's just me. Do check it out and let me know what you think. Hopefully, you'd find your HG in this mascara. It looks rather clumpy towards the edge of the lashes. I am more intrigued with the packaging than anything else. Like you, I also have the typical Asian straight eyelashes. Is Happy Skin a Philippine beauty brand? I saw it on AMW (Nikki's) blog as well.